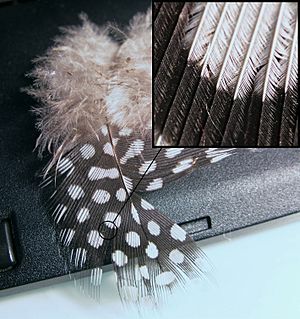 Feathers insulate birds from water and cold temperatures. They may also be plucked to line the nest and provide insulation to the eggs and young. 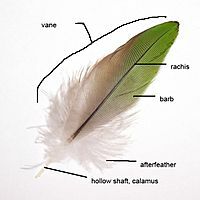 The individual feathers in the wings and tail play important roles in controlling flight. 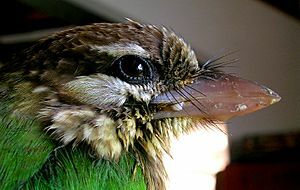 Some species have a crest of feathers on their heads. 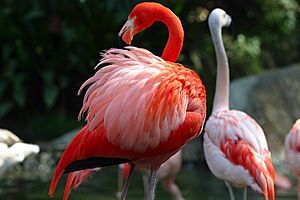 Although feathers are light, a bird's plumage weighs two or three times more than its skeleton, since many bones are hollow and contain air sacs. The wing feathers of male club-winged manakins Machaeropterus deliciosus have special structures that are used to produce sounds by stridulation. 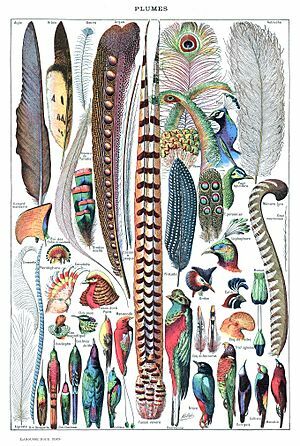 Feather Facts for Kids. Kiddle Encyclopedia.